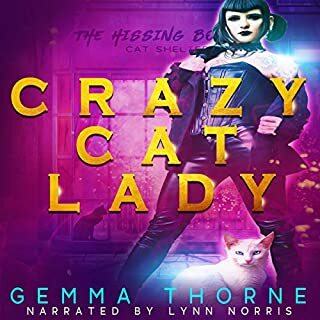 Did you listen to CRAZY CAT LADY? (If not, do yourself a solid.) That romp left me wanting more, and here it is: a prequel novella that introduces us to Journi, our indomitable and wisecracking goth (or goth-adjacent) soothsayer heroine making her way in a world full of magic since the Rise brought out magical talents, and beings, in eye-popping numbers and variety in her hometown of Columbus. Here, Journi's battling "Middling" (non-magical human) supremacists in a plot line that's hair-raisingly timely, redolent of our Charlottesville-tainted world but without direct political discourse. This is funny and hair-raising, sharp and scary (but not terribly so) — pretty much a PG-13 experience. 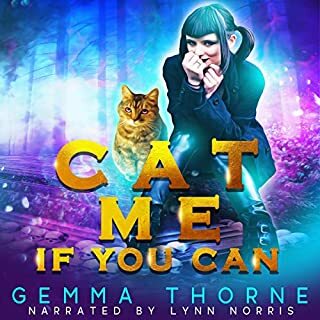 The delicious LYNN NORRIS reprises her narrator role in this series with unerring instincts for character and plot development, and razor-sharp comedic timing and inflection that always deliver and satisfy. Get rrrrready to rrrrumble! (And giggle, and snort, and gasp). Enjoy! So the always incredible vocal artist ☆LYNN NORRIS☆ has attained a new level of *wow* on this one. Varied, bang-on pacing (and timing on specific dialog that'll stop your heart, it's so good), characters absolutely mind-blowing in their exquisite, layered, discrete detail (check out the pivotal Black prisoner, cameos such as the postman, and the *villain*, to name a tiny handful), a dazzling array of vocal effects and dialects, emotional authenticity — it's the work of a mature master who knows her business, and gives you the enormously pleasurable gift of relaxation (you know you're gonna have a luxury ride with a crystal-clear view of the scenery) punctuated by defibrillator shocks to the system that are the hallmark of first-rate suspense. Deeply, deeply satisfying. 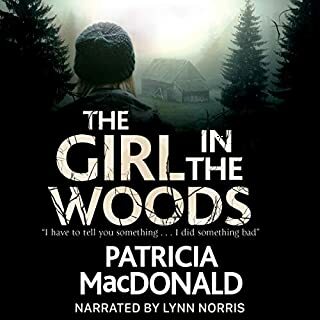 Author MacDonald has written an evocative piece (and, as a denizen of the Poconos, where the story's set, I should know) — atmospheric, with natural dialog, dimensional characters, and a pretty tight story line that feels plausible and, while it delivers on the shock value front, never feels contrived for the purpose of gratuitous violence or formulaic, cartoonish "*thwack! * *kaBOOM! *-type effects. Rooted in reality and believability, 's what I'm trying to say here. A truly enjoyable listen. Recommended highly. Widowed and without grandchildren, the loneliness becomes crippling for children's illustrator Beverly Vernon. So she begins a portrait of the ideal granddaughter, who is blonde, violet-eyed and smiling. Until she uncovers the bones of a young child in her back garden. Then Beverly's painting changes of its own accord; the girl's smiling expression turns grim. As Beverly endeavours to identify the child and how it died, her sanity is tested to the limit. While hunting for the truth in a dark past, Beverly risks everything in her present. So, Nancy Springer has a gift for description. Not just of physical surroundings, though her capacity to convey the visual is put to fine use in this narrative. But also of ambience, of character/persona, and of mental/emotional state. Which the always able narrator ☆LYNN NORRIS☆ brings into sharp focus with her exceptional gifts of characterization and dialect. It's an intense story, not for listeners in a particularly vulnerable (much less raw) state. It addresses the terrible reality of the abuse of children by wholly unconscious parents, and the unspeakable result of that abuse is the hub of this tale. How a slightly bitter artist, an older woman who feels she's never reached her full potential, is shaken from an atheist world view, mild self-obsession, and artistic stagnation by the energetic residue of a horrifying event that took place in her home long ago, makes for an absorbing story with well drawn characters brought to vivid life through Lynn Norris's sublime vocal talents. My fussy little Southern-born pedant has to point out, though, that Southerners do NOT use ''y'all'' in the singular. Not ever. We address single individuals as ''you,'' just as the rest of our English-speaking compadres do. And the overwhelming number of times various characters used ''y'all'' in second person singular made me nuts. That's the kind of research that any self-respecting writer should do, and confirm, as a bare-bones (forgive the expression in this context) exercise. If you ain't from the parts you've set your book in, make damn sure you get the conversational usage right, at a bare minimum. That said, this is a moving mystery, with complex interrelationships that make for compelling listening - though the Floridian characters were by and large less layered (bordering on stereotypes) than their Northern counterparts. Disappointing, but the book is still well worth the listen, not least because Lynn Norris always brings emotional intelligence, precision, and excitement to her work. This is *delicious*. Hilarious, witty writing, a cast of superheroes (with brilliantly ridiculous names) to put Marvel to shame, a fun plot, and the simply incomparable talents of narrator Bahni Turpin, of whom I shall now be a groupie, as she brings - jeez, I dunno, 20-30 distinct characters, almost all denizens of New York City - to riproaring, 5-D life. Having lived in NYC for *cough* a lawwwng time, I can tell you the accents, from every ethnicity and borough, not to mention age, gender and a respectable range of national origins, are absolutely bang-on. (Made me positively nostalgic. Diversity is the freaking spice of life.) You will LOL like a mad thing, and be so glad you spent some time in this loony-toons, joyful world. BAHNI TURPIN, YOU ARE A TOTAL STAR. In a world where magic is mundane, soothsayer Journi McCutcheon's love of black lipstick and sarcasm is the oddest thing about her. Being clairvoyant isn't glamorous, but it pays the bills. Mostly. When an ordinary sooth goes awry, however, revealing that a child's life - and maybe the entire city - is in danger, it's up to her to save them. Just in time for Halloween, an atmospheric thrill ride with loads of laughs! Though this charmer is not for little kids (blood and guts, f-bombs etc. ), it's young and fresh, with a goth protagonist who's sardonic and tough as nails, but with the formulaic (but no less endearing for it) soft insides she fights hard (in vain) to hide away. The story happens a few years after the Rise, a mysterious event in which a big chunk of the (world's?) population developed a range of magical powers. With vamps and unicorns and such in evidence, too. The great LYNN NORRIS, narratrix extraordinaire, gives one killer performance here, effortlessly steering among a heap of brilliantly limned characters and tons of breakneck pacing without batting a metaphorical eye. She just excels at everything: delicious, thoughtful characterization, deep understanding of what makes the story go, an unmatched facility for voicing people of either gender or sexual orientation, any culture, any age. I hung onto every well crafted word. Man, is she a gift to any writer in any genre. And sure as hell to us listeners, too. A fine listen for a brisk, slightly sinister evening. Enjoy! Neek makes a living piloting the dilapidated tramp transport Mercy’s Pledge and smuggling questionable goods across systems blessed with peace and prosperity. She gets by - but only just. In her dreams, she is still haunted by thoughts of Ardulum, the traveling planet that long ago visited her homeworld. The Ardulans brought with them agriculture, art, interstellar technology...and then disappeared without a trace, leaving Neek’s people to worship them as gods. 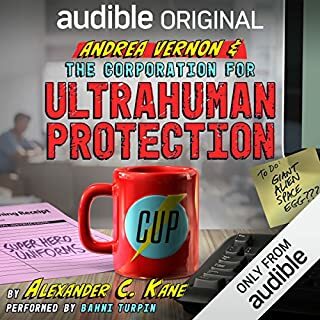 So OK, so I was drawn in to give this a listen, as I always am, by the always stellar work of narrator ☆LYNN NORRIS☆, who never fails to bring warmth, intelligence, flawless pacing, and characters delineated with the input of an excellent ear and a strong, thoughtful take on each personality and how they all factor into the action. That said, sometimes I've felt that the material she's had to work with in the past fell a bit short of her prodigious gifts to bring it to vivid life — a windfall for that author, but mildly disappointing to me when the story didn't give her the richest chance to show what she can clearly do. And then: ARDULUM. At long last, a story giving Lynn Norris some real red meat, with deep, rich characters; spectacularly detailed (but fully accessible) and clearly knowledge-based science that challenges religious superstition but potentially enhances and informs spirituality (Dancing Wu-Li Masters, anyone? ); a moral universe that provokes thought and aspiration but never proselytizes or gives easy answers; fully realized cultures to relish; gender fluidity (including coined pronouns for those who don't fit into the more rigidly conservative constructs of some Terran mentalities of our time, though here, new genders are unequivocal genotypes); no overt romance (so far), leaving one's imagination free to take telepathic connection into a still more intimate realm; and action and suspense aplenty, always in service of the excellently paced plot. Ms. Norris does her magical thing in spades here, creating delicious accents and/or intonations for the various sentient species, within which framework individuals are still miraculously discrete; handling the scientific jargon like a pro; bringing just the right emotional tone and muscularity to each scene, encompassing everything from tender vulnerability to life experience-based indecision to occasional shameless relish in violence (particularly of the vendetta variety). I was in the hands of a master. And especially with material this good, that is a fine place to be. This is the first of a series, apparently, and I am thrilled at the prospect of more, as the combo of J.S. Fields and Lynn Norris is a dynamic synergy that knocks my socks off. The story's breathless and contemplative by turns, and introduces us to a universe that is chock-full of mysteries great and small, some resolved here, but some of which I predict will be unraveled in the books to come. 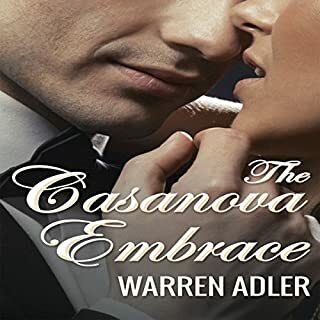 From the carcass of a Washington, D.C. car bomb explosion, the CIA launches an investigation into the mysterious events leading to the assassination of Chilean dissident and infamous casanova, Eduardo Allesandro Palmero. As CIA investigator Alfred Dobbs rummages through the evidence, Palmero's mysterious life, from heir to the Chilean oligarchy to a fist-raising Marxist and trickster in disguise, comes to light. But what Dobbs soon discovers soars beyond his wildest imagination. At the height of international terrorism, Eduardo fights his war with an unlikely weapon - seduction. 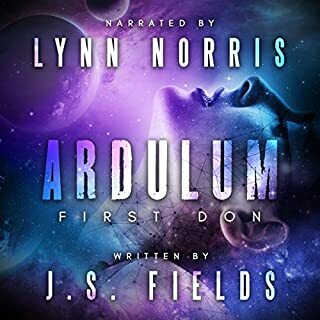 I'll start with what I liked about this audiobook: the incandescent talents of ☆LYNN NORRIS☆ as narrator are, as always, fully deployed in service of the story. Chilean Castellano, which for those unfamiliar with the accent and its idiosyncrasies, is a delicious and endearing, very distinctive and somewhat slurred sound that comes off a little drunk, and in which sentences nearly always end in a gratuitous "po" (something like the Canadian "eh? ", if you will), is not remotely easy to convey in the accented English required for this story. And of course, Norris's main job is to convey as clearly as possible the sense of the text, in any event spoken largely here by highly educated, patrician characters who would be committed to sounding as high-caste and intelligible as possible. So that's a pretty tall order to convey in this narrative! What Norris does is amazing: she gets the "music" of the Chilean sound, its inflections and pitch variations, while ensuring that the dialog is always crystal-clear. A major feat. And, as always with Lynn Norris, the vocal character delineations are impeccable. I am such a fan of her work, and so enjoyed hearing that mellifluous voice employed with characteristic skill and variety. Norris also tosses off French and American accents without a hitch, and does an endearing (Of Mice and Men) Lenny-like character with respect and warmth. Just a huge talent. I wish the enjoyment I got from the narration carried over to my impression of the story as well. I tell ya, it's not the easiest thing to listen to a saga about three intelligent, educated, fairly functional (at the outset) women who are in the thrall of a Latin lover who (aside from a beautiful body, presumable skills in bed, and the apparent (in the author's view) girl-catnip of emotional unavailability) has no particular on-the-page attributes that would besot the three of 'em so instantly and thoroughly. Sadly regressive in the Me Too era. The two-dimensional character stereotypes throughout the novel were also highly disappointing. But Lynn Norris is ☆easily☆ worth the price of admission. I was given this free review-copy audiobook at my request and have voluntarily left this review. If you could sum up Second Coming in three words, what would they be? What other book might you compare Second Coming to and why? I'd compare Second Coming to the first book in this trilogy, First Fruits. I very much enjoyed the first book — particularly the brilliant narration of Lynn Norris — but much territory in that book was taken up with exposition: our world crammed with supernatural players and a rich history of this shadow world, unperceived by "normal" humans. In the second novel, plot baseline well established, we see much more of the deep, lavishly detailed and nuanced world of supernatural beings, in which even the "good" characters sometimes suffer from longstanding prejudice. Like the best of science fiction/fantasy, this story reflects societal ills and personal foibles with which we can all identify and, in a context of high adventure, romance, and a climactic full-on battle with detail at once ravishing and devastating, we're shown ways in which even the most evolved among us can grow. A delicious array of characters and circumstances provides a vivid palette at last worthy of the simply prodigious vocal and interpretive talents of ☆LYNN NORRIS☆, who limns character after character with masterful detail and seemingly endless energy and range. I was nonplussed at first by the tack of voicing consistently third-person narrative in the voice of a single character appearing in each scene (rather than in a neutral narrator's voice), but I came to appreciate the extra emotional color and clarity afforded by plot advancement via a particular character's apparent perspective. A total innovation, in my experience. Way to go, Lynn Norris! I've made no secret of my admiration for her truly enormous narrative gifts, and this outing just takes the proverbial cake. Amanda Carney must be over the moon to have someone rise fully to the challenges of bringing her elaborate, panoramic plot to breathtaking life. Norris goes from strength to strength, and is destined to be a shining star in the audiobook universe. Truly, there are so many beautifully realized scenes in this book, but the true tour de force I referred to in my headline has to be the battle scene near the end of the story. The energy is just headlong, as Lynn Norris throws herself fully into breakneck tempo with perfectly enunciated, crystal-clear yet wholly passionate relating of Carney's stunningly detailed, no-holds-barred narrative of battle that feels like the memoirs of veterans, it's so emotionally real. Whoa. Just virtuosic. And in the midst of violent chaos and peril, we actually learn more, through revelation of their thought processes, about the principal characters, without sacrificing an atom of excitement. Breathtaking work by both author and narrator. Magic power's great. Love and courage are better. If you love great romantic fantasy-adventure, this book's for you. Read the trilogy in order, though; if the second book is any indication, it's just gonna get better and better. 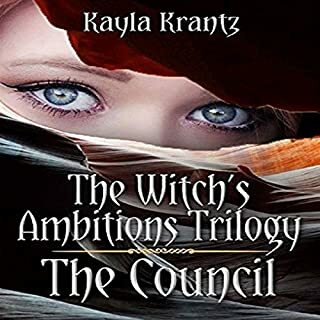 The Council is the governing Coven over the Land of Five, a region entirely inhabited and split apart by witches with varying powers. Lilith Lace, a witch thought to be born powerless, happily resides in Ignis, the Coven of Fire, until she suddenly develops telekinesis, an ability only seen in some witches born in Mentis, the Coven of the Mind. When the Council finds out about her odd development, she's taken under their wing and is finally told the truth.... Everything she's learned about the Land of Five, herself included, have been nothing but lies. Would you listen to The Council again? Why? If I did, it'd be for Lynn Norris. It's all about Lynn Norris. She has style, substance, wit, real intelligence, beautifully delineated characters — and oh, that voice. 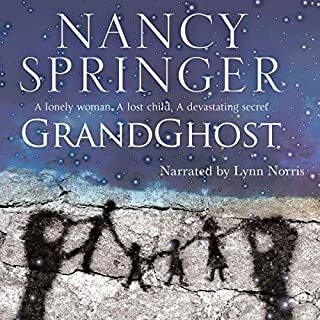 To be honest, the story is not that compelling for me, despite the energy the fabulous narrator, Lynn Norris, infused into every character and plot point. It's a decent plot, but the writing is pedestrian and gratuitously ungrammatical, with too many words just plain misused; malapropisms are indefensible in the age of Google. Also, it's all in first-person, but with glaring faux pas for that MO throughout: the narrator says stuff like, I couldn't hear what he said, and then quotes what he said verbatim. That kinda thing just yanks me out of the moment, and is such an easy fix: just switch POV now and then! Most interesting? I guess the whole supernatural thing, for which I had high hopes going in; it can be such a gas if it's given its full due (which it emphatically wasn't in this case). The least interesting bit is the marked absence of rich, discrete cultural detail for each of the covens; the protagonists' trip through each one is cursory at best, the "mission" the characters are on is an absurd failure in terms of the paltry amount of time spent in each coven's territory, precious little interaction with inhabitants that aren't already known to them, and the lack of thought and effort they expend in identifying subversives before hustling on to the next locale. A disappointingly lazy construction of a world with little texture or nuance, leaving only the lasting impression of Lynn Norris's always exceptional work. Oh, and BTW, that's a truly shameless (and again, lazy!) cliffhanger at the end of this book. What about Lynn Norris’s performance did you like? Two major things stand out here: her beautifully detailed vocal characterizations (of which my favorite here is probably Lazarus, though he's but a cameo — and that's the point, of course. No opportunity to expand the palette is overlooked. ), and her full-on commitment to the breathless terror and excitement of the battle scene at the end of this story. Norris's rendering of dialog is always natural and flowing, but the identity of speakers is never lost in complicated exchanges. And her voice, the instrument itself, is just beautiful and clear at all times. She elevates the text far beyond its intrinsic value, and delivers a flawlessly paced, intelligent, emotionally rich performance. I actually search on the Audible site for books read by her. She never fails to engage and delight. Can't wait till the material offered to Lynn Norris is worthy of her extraordinary talents. Yes. As always when I listen to her narrative, Lynn Norris takes the prize. She hasn't yet landed a book fully worthy of her talents, but it's just a matter of time, as her reputation grows. I've yet to encounter a character that she couldn't fully embody with her vocal gifts. Always serving the story, she brings more excitement and definition to each person (undead or otherwise) than the words alone convey. The more colorful characters are cake for her, but the mainstream ones are more difficult to project, seems to me; it requires a kind of simplicity and authenticity, seasoned with deep social intelligence, to give them dimensional life with the voice alone. And this she does in spades. Every time. But oh, the character acting! From the languorous, feline Patrick (think George Sanders or, for younger readers, Alan Rickman's Snape), whose casual evil exudes ennui and depravity in equal measure, to the warm and nurturing Lou, who knows exactly who she is, and recognizes another loving soul when she sees one, Norris handles a wide disparity of character and accent with ease and naturalness. A real actor. It's a spine-tingling pleasure. I'd have to say Parsley. That kind of ingenue can be a bit dull in the wrong hands, but Parsley grows on you. While maintaining vocal integrity for each character, so that no one is ever confused with another, Lynn Norris still manages to convey with her voice the evolution of her ingenue as she learns to love and trust, as she opens fully to her sexual nature, as she finds more strength and resilience than even she knew she had — she who's had many opportunities already in her young life to dig down for endurance and resourcefulness. What does Lynn Norris bring to the story that you wouldn’t experience if you just read the book? What doesn't she bring? She's a writer's dream. See above for the long, long list of attributes that make her simply outstanding. Learning to love on the run from an ancient evil. This book badly needed a copy editor, especially at the beginning. That Patrick, the elegantly evil 1000-year-old vampire sire of Jesse and Felix and Bane, would not know the past participle of "drink" is laughable and ridiculous. That verb, of all verbs, for a vampire! Had *drunk*, lady, *not* had drank!! Lots of cliche verbiage, too. But both grammar and style seemed to improve as the book progressed — which may be a function of my getting more invested in the story, but I think it's more likely that the writing itself improved. I was all in by the end, abrupt though it was. Talk about a cruel cliffhanger! Looking forward to the next book; hope it's on its way soon!